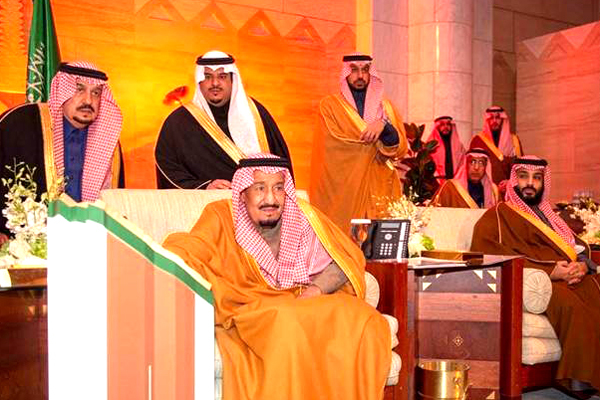 Saudi King Salman bin Abdulaziz on March 19 launched four wellbeing projects worth $23 billion in the capital Riyadh mainly aimed at improving the lives of its citizens besides transforming the city into an attractive destination and making it one of the world’s most livable cities. Spread over a sprawling 13.4-sq-km area, King Salman Park will be a green oasis in an urban setting and will be the largest city park in the world. Besides residences and hotels, it will also feature a Royal Arts Complex, theatres, museums, cinemas, sports venues, water features, restaurants and an 18-hole Royal Golf Course. Green Riyadh will help reduce average ambient temperature by 2 degrees Celsius, and will use more than 1 million cu m of treated sewage effluent daily for irrigation, for the sustainability of water resources in the city. An iconic new health and wellness destination in the heart of the city, Sports Boulevard will feature a 135-km-long professional cycling track covering the city and the surrounding valleys, the first of its kind in the region. Adding 3.5 million sq m of new open space across the city, this grand project will also feature a sports pavilion, riding stables and athletics tracks, accommodating a wide variety of sports activities. Sports Boulevard has been designed with full accessibility for all segments of the population. With 1,000 art pieces curated through 10 separate arts programmes and an annual arts festival, this grand project will feature large-scale art works that will both fascinate and engage artists and art lovers from across the world, said the senior officials.